When the relatively unknown Alessandro Michele was named creative director of Gucci in 2015, no one was more surprised than himself. Two years later, his signature florals, metallic pastels and romantic undertones are all what has shaped Gucci into the powerhouse it is today. Michele is now a household name whose designs have captivated his entire audience. The 43-year-old who originally hails from Rome resides on the opposite side of the spectrum of former creative director, Frida Giannini, who took the brand down a much more modern, sophisticated path. Michele has a quirky personal style and complete anonymity. Taking inspiration from all things delicate and a sort of beauty that can only be described as spiritual, Michele has given the fashion community an entirely new look. A “renaissance rock n’ roll” is the only summary deemed appropriate by Vogue for his latest collections. Dubbed a fashion rule-breaker, little variation appears in each collection year after year, yet somehow each one continues to be just as mesmerizing as the last. Eccentric, fearless and observant, Michele is not too far off from the modern day rock star. This may explain his growing popularity among some of the biggest musical artists at the moment. Harry Styles is an avid wearer of Michele’s designs, worn with enough Jagger-esque confidence to sky-rocket him to one of the best dressed men of the moment. Another notable name frequently spotted in Gucci is Florence Welch of Florence + the Machine, who also serves as brand ambassador and longtime muse of Michele’s. Among a plethora of other big music names one major standout is Jared Leto, a close friend of Michele, whose devotion to the brand got him the title of Gucci spokesperson. Leto adopts the “more is more” approach to piling on piece after piece in one ensemble like a walking billboard for the brand. Among dozens of others who have famously stepped out in Michele’s signature designs are Madonna, Rihanna, Lady Gaga and unsurprisingly, Gucci Mane. Kent State sophomore fashion design major Hannah Weber admires Michele’s transcendent and unique style, frequently taking inspiration from him in her everyday life. Weber believes his standout looks are so popular among young consumers today because of their want to stand out from the crowd. With his heavy appeal to a youthful, more contemporary audience, Michele has caught the attention of manufacturers who frequently attempt to make counterfeit designs. These manufactures, like Forever 21 for example, try to appeal to a wider range of consumers who typically may not be able to afford the high-fashion label. Nowadays, it’s easy to see just how much of an influence Michele has had on current trends in general. It’s no surprise to walk into a store and see those all too recognizable floral embroideries, animal appliques and signature Gucci stripes. 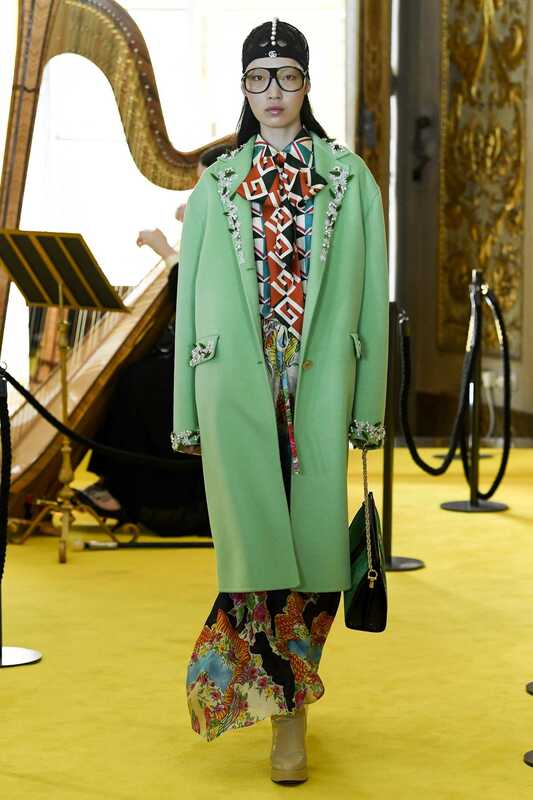 We can’t predict what new creations Alessandro Michele will conjure up in the future, but with no doubt, he will continue to trailblaze his own path with each collection more distinct and innovative than the last, proving his reigning spot as a true renaissance man.